Bunions are caused by a combination of factors, including a familial predisposition, and wearing high-heeled shoes that are tight and narrow at the front. Most bunions occur in women. Sometimes other foot problems accompany bunions, including calluses and hammertoes (angling downward of the lesser toes). Your bunion may not cause any symptoms. Or you may have pain in your big toe, red or irritated skin over the bunion, and swelling at the base of the big toe. The big toe may point toward the other toes and cause problems in other toes, such as hammer toe . 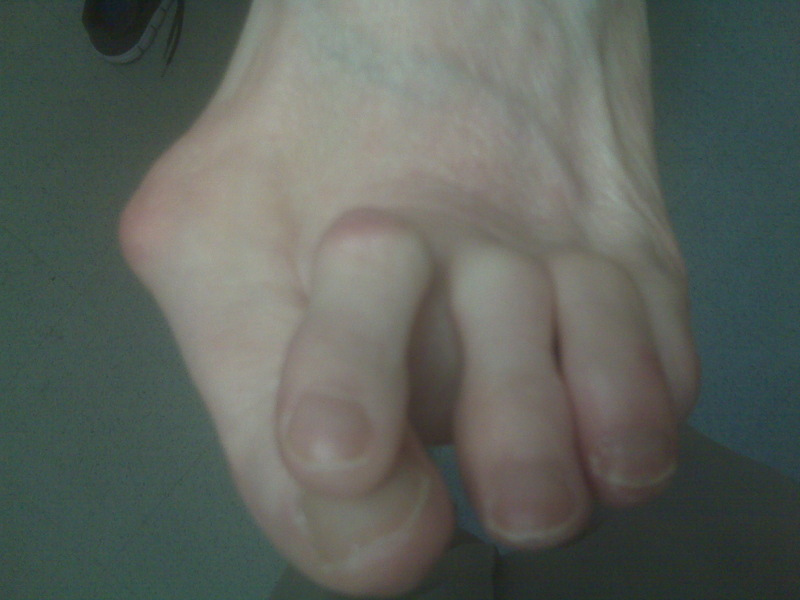 A bunionette can cause similar symptoms at the base of the little toe. To end persistent pain, your doctor may recommend a type of foot surgery called a bunionectomy to remove the bunion and perhaps to reshape the first toe joint. During the operation, the swollen tissue will be removed, the big toe will be straightened if necessary, and the bones of the affected joint may be reshaped or permanently joined. The goal of the surgery is to correct the cause of the bunion and to prevent the bunion from growing back. After surgery, pain medication will be prescribed, and you will be told when you can start moving your toes and ankle.